Pumice’s PUNY rides the existential rails, frothing forth into a fog, laden with static heaps & acerbic musings. 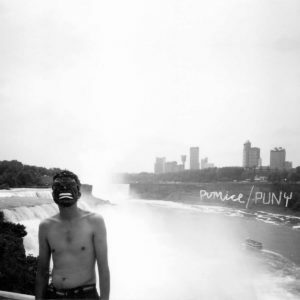 Pumice’s lone heart/voice is Stefan Neville (operating solo quorum), and PUNY is the first album he’s distilled in four years following an-album-a-year pace & touring life in years prior. These new songs stem from the best & worst moments of a life-changing relationship for Neville; the breakdowns and crack-ups are equally represented. PUNY is a trophy of these toils. PUNY is as downcast as it is transformative, slowly burrowing under your skin with insidious (and buried) melodies, malaise and raw beauty. PUNY marks another step beyond the usual NZ underground comparisons for Neville’s songs; Scottish organ dirges are balanced with voice-driven doo wop haka experiments, stumbling twang, and minor-key pop strumming delivered as only Pumice can. Another wistful & unique—yet familiar—offering from this modern pakeha noise-pop auteur.